Pizza is not only the most perfect go-to comfort food. It is also a classic dish that happens to be a an extremely loved staple in American’s diets. Weather you are lazy too cook or you’re going through a rough time with your significant other, pizza is almost always the answer. Pizza is an inexpensive solution to fill your stomach and soul with everything it needs. A poll of Americans showed that pizza is America’s favorite comfort food. By the end of that first cheesy bite you just know that everything is going to be okay. But what you may not be away of is that eating pizza every day could actually save your life. Friends and family tend to argue over who makes the best pizza. Some will say Pizza Hut and others might say Papa John’s Pizza. Different pizza stores are famous for different things like cheese stuffed crust or the famous deep dish. But Kirk Alexander would most definitely answer that Domino’s Pizza is the obvious winner. 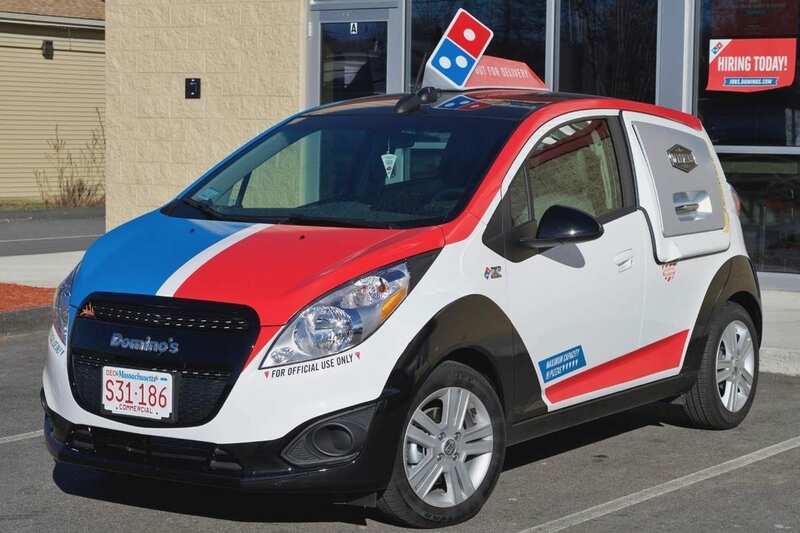 Domino’s is no stranger to being a favorite amongst Americans. Domino’s gross sales in 2016 were $9,600,000,000. Now imagine how big the pizza industry is if that’s what only one pizza chain makes. Alright, we’ll spare you the research. The U.S pizza market is 44 billion. Which makes up for a nice chunk of the world’s pizza market of 128 billion. I think we made our point. People just can’t get enough of pizza. Some people may say that their diet is comprised of mostly pizza but that would be an over exaggeration compared to Kirk Alexander. He ordered pizza and other various dishes from same Domino’s Pizza shop almost every day for for the past ten years. Until one day, he just stopped making his signature order. What happened next was incredible. Pizza stores clearly deal with tons of costumers daily. It is safe to assume you shouldn’t be embarrassed to go back to the same pizza store 3 days in a row. They most probably wont remember you. However Kirk’s story changed the game completely. The employees at Domino’s Pizza store not only recognized him but called him a friend. Some of the employees even considered Kirk to be like family. But what the employees did for their number one customer is what caused all the headlines. 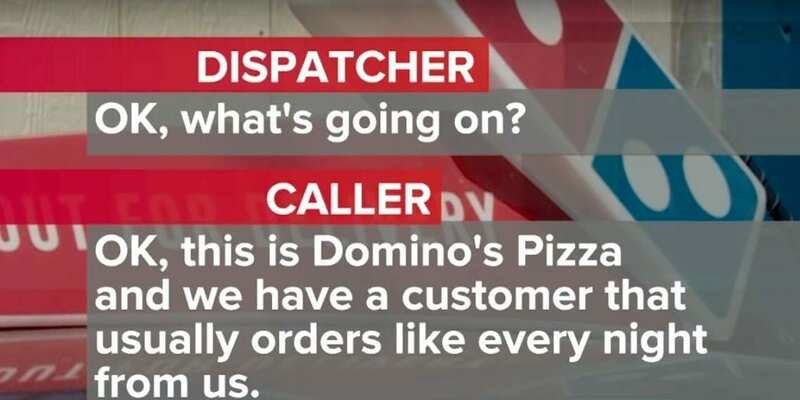 This Domino’s Pizza store’s story went viral and has inspired people all around the world. Meet Kirk Alexander. He is 48 years old and lives by himself in a small house in Oregon. Kirk does not only love pizza, he craves it. That is why Kirk has ordered pizza almost every day. Kirk has remained loyal to the same Domino’s Pizza store for the past ten years. That is why the Domino’s employees were confused when the day came that they did not receive Kirk’s typical order. When the phone didn’t ring in the Domino’s shop as it usually does at the same time every day, the employee’s became nervous. 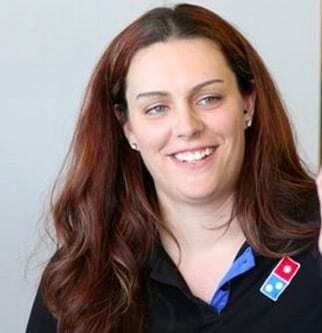 Sarah Fuller is the manager of the Domino’s pizza store. She spoke to the press explaining that Kirk orders pizza from their shop every day. When the staff see his order popping up on their screen they feel a sense of comfort and familiarity with Kirk. But all of a sudden his orders stopped appearing on the Domino’s screen. The staff became very concerned and were totally shocked once they figured out why Kirk stopped ordering his daily dose of pizza. 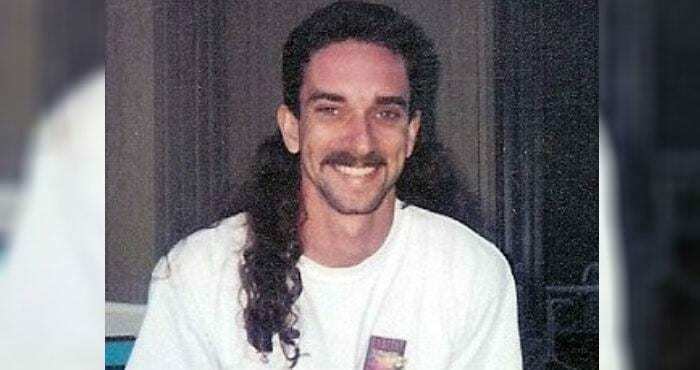 It wasn’t just the Domino’s employees in the store that grew accustomed to Kirk’s pizza orders, even the delivery drivers got to know Kirk over the years. They were the ones who delivered the pizza to Kirk every day and therefore saw him the most. Every one was asking questions but no one had any of the answers. The staff checked the Domino’s system to find that Kirk had not ordered a single slice of pizza in eleven days. The staff immediately felt that something might have happened to Kirk. Sarah explained that the Domino’s employees got to know Kirk over the years. The employees of Domino’s said that Kirk is a quiet guy who is really nice and very friendly. Some of the Domino’s staff considered Kirk to be a friend while the other staff that has been working for Domino’s for a longer time felt that Kirk was more like family. They knew that Kirk had never even left his home for an extended vacation before. They thought that maybe he could be ordering from a different pizza shop? Kirk didn’t only order pizza from Domino’s. While he was clearly a creature of habit he still liked to keep things fresh and maintain a well rounded diet. That’s why Kirk would order anything on the Domino’s menu from sandwiches to wings and yes the obvious order of pizza as well. The Domino’s employees started to get a bad feeling once Kirk stopped making his usual orders. What if something bad might have happened to their favorite customer? Everyone was asking questions but Sarah had no answers for her staff. So she sent one of the delivery women to check in on their favorite customer and find out once and for all what happened to Kirk. 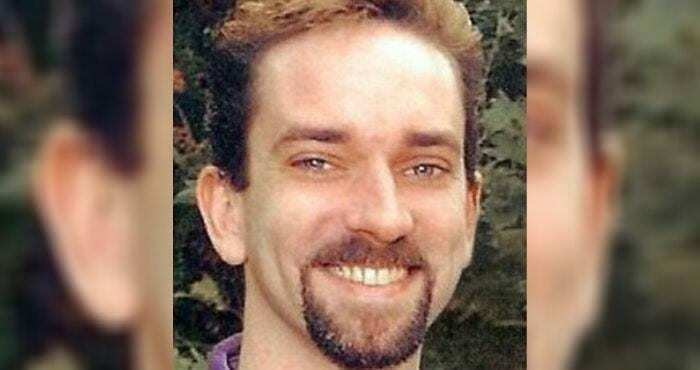 Tracey Hamblen was the delivery driver that was chosen for the task. Tracey went to Kirk’s house like he did so many times before. He noticed that there were lights on inside the house and he even heard the television on. So Tracey proceeded to knock on the door. To Tracey’s dismay no one answered the door. Tracy knocked again and again to no avail. Tracy went one step further and decided to call Kirk’s cell phone. But it went straight to voicemail. Something was definitely wrong. And the Domino’s staff were going to find out exactly what that was. Tracy went back to explain what happened to the other employees, they would know what to do. An uneasy feeling was going through his whole body. Tracy was scared for Domino’s favorite customer. 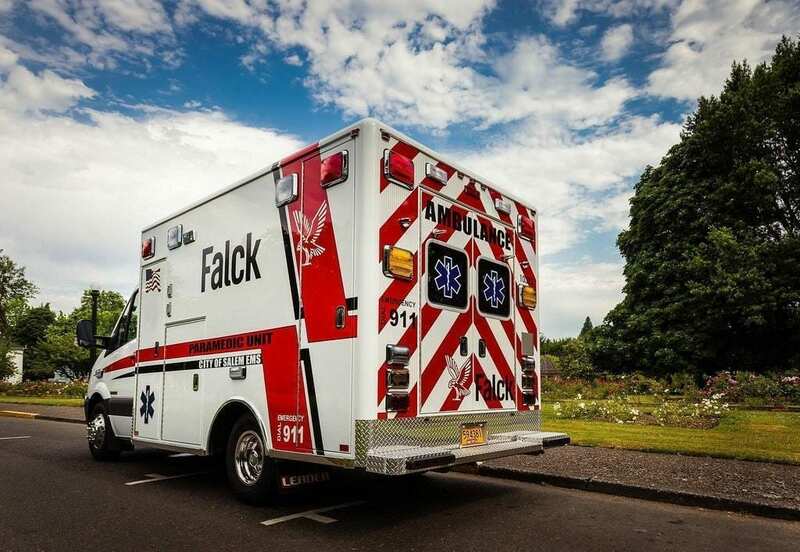 Once Tracey spoke to the other employees they all came to the conclusion that they needed to call 911. They told emergency services that they deliver pizza to Kirk every day and he recently stopped ordering out of the blue. They explained that he was not answering his phone or front door, yet the lights and television were on. 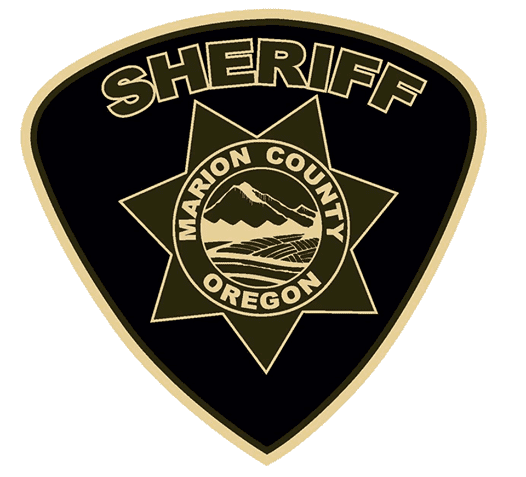 Once the operator got a handle on the story, the operator then told this information to the Marion County’s sheriff’s department. 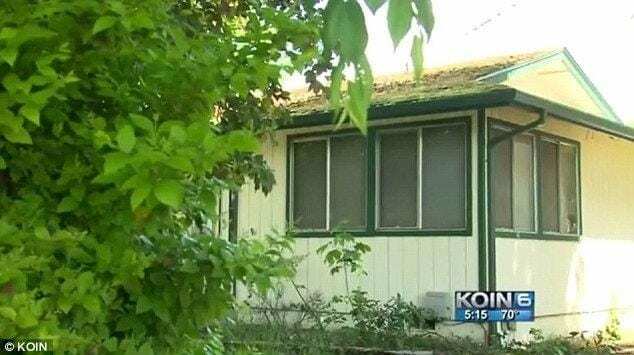 Deputies of the Marion County’s sheriff’s department were dispatched to Kirk’s house. Again they tried to knock on Kirk’s door and even called out his name until they finally heard something. There was a man inside the house and he was trying to ask for help. The police immediately understood that they would have to break in. Once they finally managed to get inside they found Kirk lying on the floor of the house. The police rushed to Kirk’s aid. The police immediately called an ambulance for Kirk. The ambulance rushed him out of his house and Kirk was taken to a local hospital for an evaluation. The paramedics stabilized Kirk and were able to help him before they arrived at the hospital. The paramedics explained that Kirk had a stroke but since he was alone the entire time there was no way to know for how long Kirk was unconscious for. Kirk’s health was not certain. The staff at Domino’s pizza finally heard the results from the hospital. Thankfully Kirk was going to make a full recovery. The Domino’s employees celebrated. They explained that they are like a family and they were just happy to be able to do something to help. Sarah said, “We hope he’s able to fully recover from this!” Many people have called the Domino’s employees heroes and that they went above and beyond what is expected of a Domino’s pizza employee, but the staff completely disagree. This Domino’s pizza store has recently become famous for their good samaritan deeds. The media is going crazy over these employees and their story has gone viral. Sarah responded, “I think we were just doing our job checking in on someone we know who orders a lot. We felt like we needed to do something.” The story started out in the local news and eventually spread to nationwide news channels. 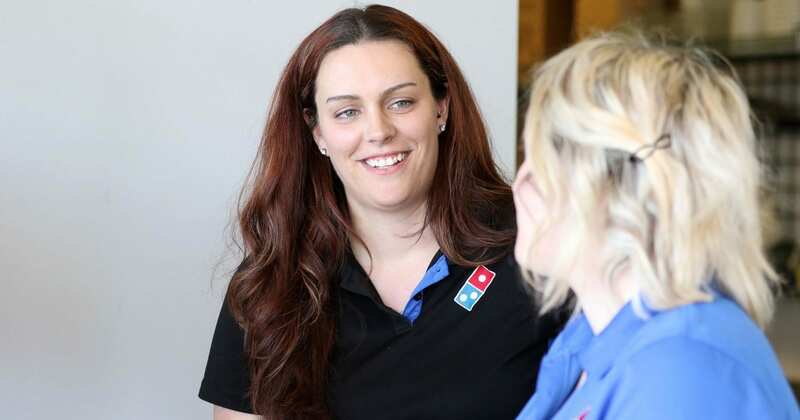 The Domino’s pizza employees are inspiring individuals in a way we have never seen before. Good Morning America! 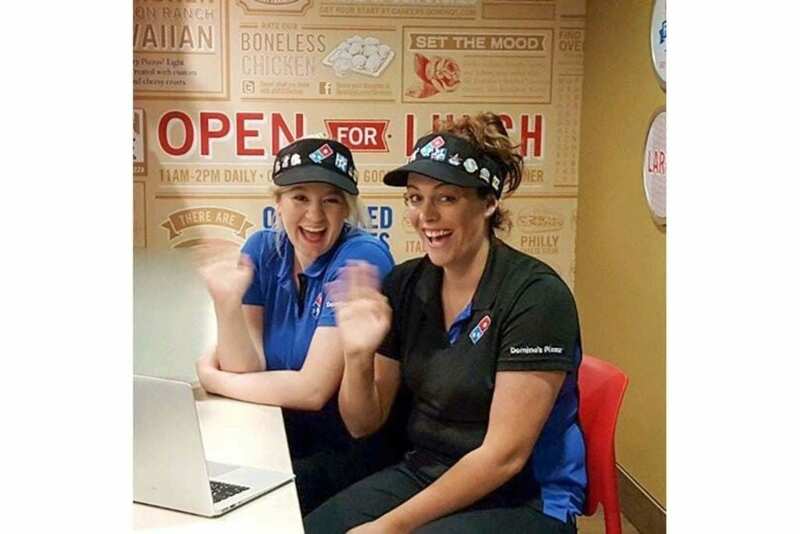 heard about these amazing Domino’s employees story and interviewed Sarah and her assistant manager Jenny Seiber. The Good Morning America! cast congratulated the two managers and were especially impressed with their good instincts that eventually saved Kirk’s life. The Good Morning America! cast asked Sarah and Jenny if they were able to visit Kirk in the hospital. The world wanted to know how Kirk was feeling. So Jenny and Sarah told America the entire story. Jenny Seiber told the host of Good Morning America!, Robin Roberts, that she was able to visit Kirk three times already. On the first visit Jenny explained that Kirk was pretty out of it and that he could only answer by saying either yes or no. By the second day he started to improve and on the third day the hospital was finally able to move him to the rehabilitation wing. Robin then came out and gave Sarah and Jenny a massive surprise! The host of Good Morning America told the Domino’s managers “Since you guys are superheroes, we’re gonna send you to Captain America: Civil War.” The rest of the staff of the restaurant will also receive tickets to the same show. The host also broke the news that the Domino’s corporate office is going to send Sarah, Jenny and Tracey all the way to the Domino’s Worldwide Rally in Las Vegas. Which is basically a convention of everyone important in the Domino’s corporation. 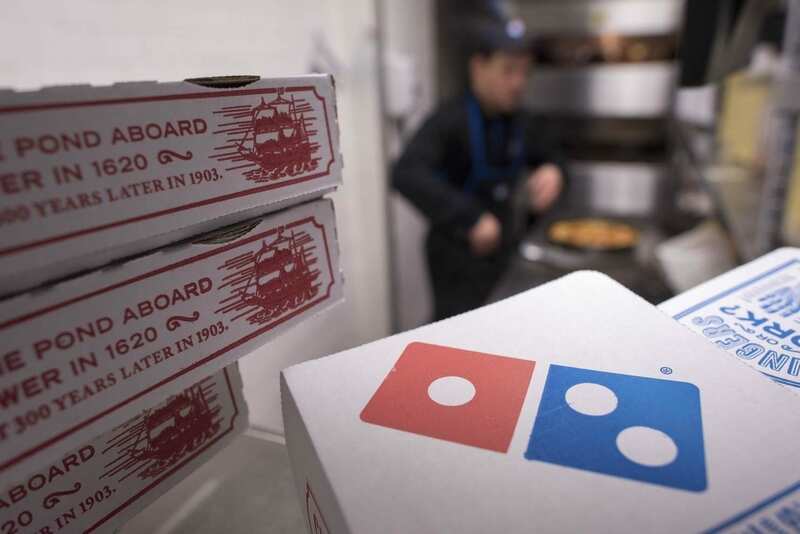 The director of public relations of the Domino’s headquarters in Ann Arbor, Michigan maintained that the effort that the store workers put in and the dedication they had towards their customers was in line with the company’s customer service standards. While we do applaud the commitment of Domino’s customer service it still needs to be noted that these were no normal employees. They cared for their customer as if Kirk their own family and friend. The sheriff’s office released a statement that said “Thanks to the quick actions of Mr Hamblen, Mr. Alexander is in stable condition at the Salem Hospital.” Marion County Sheriff’s Office also stated that “The Sheriff’s Office would like to personally thank Mr Hamblen for his quick actions and willingness to take time out of his day to care for others.” It was released that Kirk is in a stable condition and we wish him a full recovery. These heroes have been featured in the Washington Post, the Daily Mail, the Huffington post and every other news channel or website you could possibly imagine. 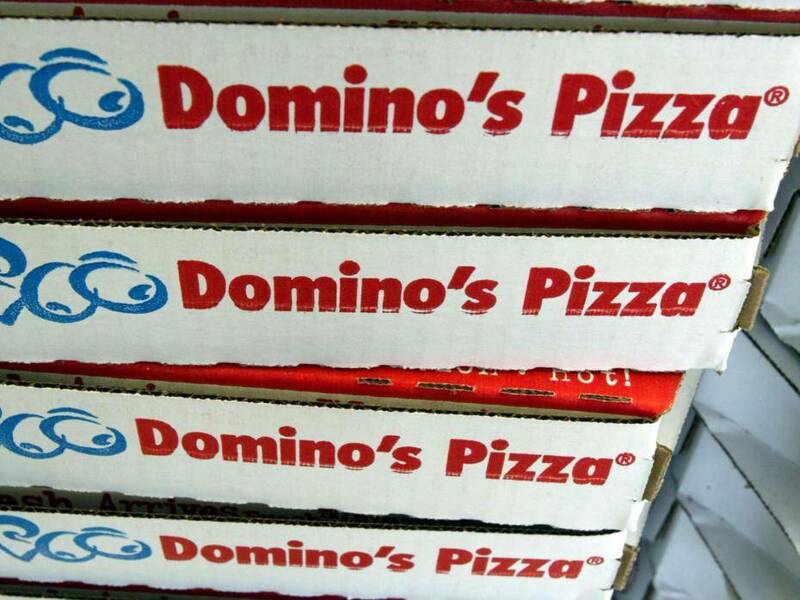 The positive news about the Domino’s Pizza staff have helped Domino’s sales as well. What goes around really does come around. 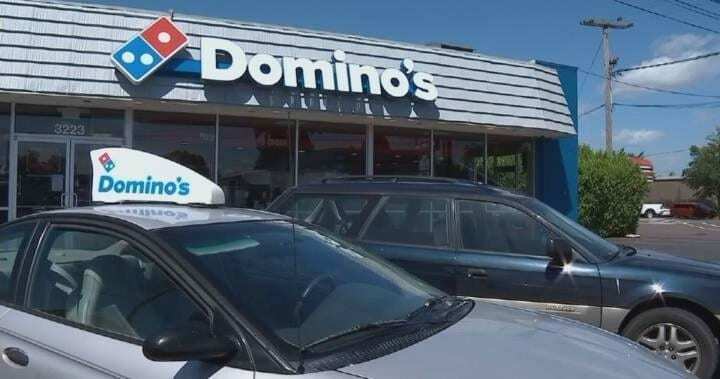 The sheriff’s office even expressed their gratitude to the staff for their “Quick actions and willingness to take time out of his day to care for others.” The Domino’s Pizza staff is inspiring people around the world to be good samaritans.